Recently, a friend wrote a piece that appeared in these pages. When I glanced at the comments that were posted, I was shocked by how vitriolic they were toward my friend and toward the other commenters. Almost none of them addressed the substance of the piece. Instead, they were ad hominem attacks on the writer and others who posted comments. I wondered whether people had actually read the piece or just assumed the person’s point of view from the title of the piece. ‘You obviously hate Israel and love terrorists who kill sleeping babies’ was the nicest comment. It’s no surprise, perhaps, that the Internet is largely to blame for the lack of civil discourse in this country. With instant communication, people often respond in the heat of the moment and say things they might not have said if they thought about it, or they had to write it out and mail it. And much of this communication is anonymous. I don’t know who Banana321 is, who said he hopes that I die from a painful disease. Banana321 feels free to say anything he wants because he knows it is anonymous. I am sure that the comments he writes anonymously he would never say at a cocktail party with people standing right in front of him. The result? The Internet has lessened real communication, rather than increased it. So this High Holiday season, as a rabbi, I want to declare that it is forbidden to post comments anonymously on social media. It is unusual for a liberal rabbi to issue a psak din - a legal ruling. In the Orthodox world, the greatest rabbinic scholars are the leading poskim - authoritative deciders of Jewish law. I am not claiming to be such a person. But I am claiming that rabbis have the responsibility and authority to apply Jewish tradition to moral issues of our time, and that this should be done carefully not casually. Yet, framing my opinion as a psak din is a statement about the seriousness of the underlying issue in our society. Let me lay out why I think posting anonymous comments is forbidden. Do not put a stumbling block before the blind (Leviticus 19:14). Do not go about as a talebearer (gossiper) among your countryman (Leviticus 19:16). Do not hate your kinsfolk in your heart (Leviticus 19: 17). Love your fellow as yourself (Leviticus 19:18). Certainly saying nasty things about other people is the definition of gossip, which the rabbis refer to as lashon ha-ra, literally evil speech. Posting such a comment anonymously is a violation of putting a stumbling block before the blind. The rabbis comment that lest you think it is only hateful acts that are forbidden, the verse says even if the hate is only expressed in your heart, it is still forbidden. Hateful speech is certainly a clear violation of that mitzvah/commandment. Finally, ‘love your neighbor as yourself’ (which, according to one opinion, is the central commandment in the Torah) is the opposite of hateful speech. Because so many mitzvot (commandments) are violated by posting hateful comments anonymously on the Internet, it is important that not even benign comments be posted anonymously. This is a siyag – a fence to prevent someone from slipping in to saying something even slightly negative in an electronic post. I would go even further to say that the biblical commandment of rebuking a friend who is doing wrong (“hokha’ah tokhiah”– “You shall surely reprove” (Lev. 19:17)) does not apply to negative online comments. Though rebuke does indeed involve criticizing another, the rabbis stress that one must reprove someone in such a manner that they can hear the reproof. Any nasty online comment will surely not be effective in changing a person’s behavior. It is also clearly not being said to reprove the person so that they become a better human being; rather, the intention is to hurt them or embarrass them. This is not the purpose of reproof. In fact, the rabbis interpreted the end of this very verse as a prohibition on publicly embarrassing a person – a prohibition which clearly applies to mud-slinging online. The commandments in Leviticus 19 express a vision of a compassionate society, a society where you love your neighbor enough to gently reprove them. It is an ambitious vision, yet is clearly at the heart of what it means to be a holy people. This Yom Kippur, let us endeavor to be that holy people which the Torah challenges us to be. Let us be careful with our online speech, and let us refrain from hurtful speech online, whether masked behind anonymous names or under our very own Facebook profiles. After all, God created the world through speech; we create our world – both real and virtual — through speech, too. This story "Online Trolling Is A Sin, According To The Bible" was written by Michael Strassfeld. Michael Strassfeld is the rabbi emeritus of the Society for the Advancement of Judaism, a synagogue in Manhattan. 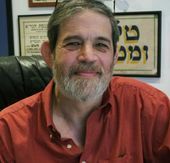 He is the author of A Book of Life: Embracing Judaism as a Spiritual Practice and is one of the co-editors of the Jewish Catalog.